This is my entry for BZPower's building contest #54. 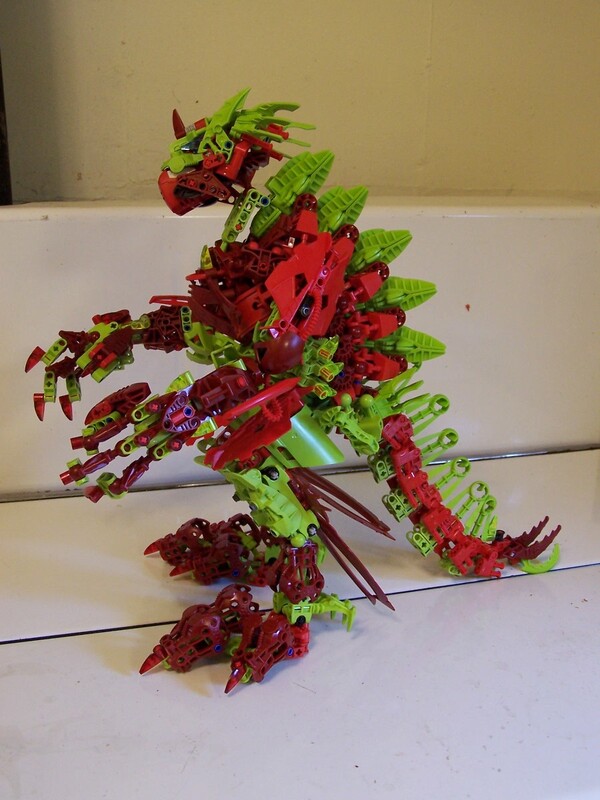 I wanted to stick with an interesting rarely used color scheme, so I used some of my surplus lime and red parts to make more room for sorted parts.I built him over 5 days, or 10 hrs. Amamzing. No other word can describe this. My only question is why it has only been liked by 44 people. O__O! Epic! You are amazingly talented! WOW! Have you ever seen Kroll king of the Cyclops. wonderful amazing outstanding jaw dropping and it has a nice color scheme. Great use of lime green, looks terrifying. how do you get so many pieces?! Again, another great moc. 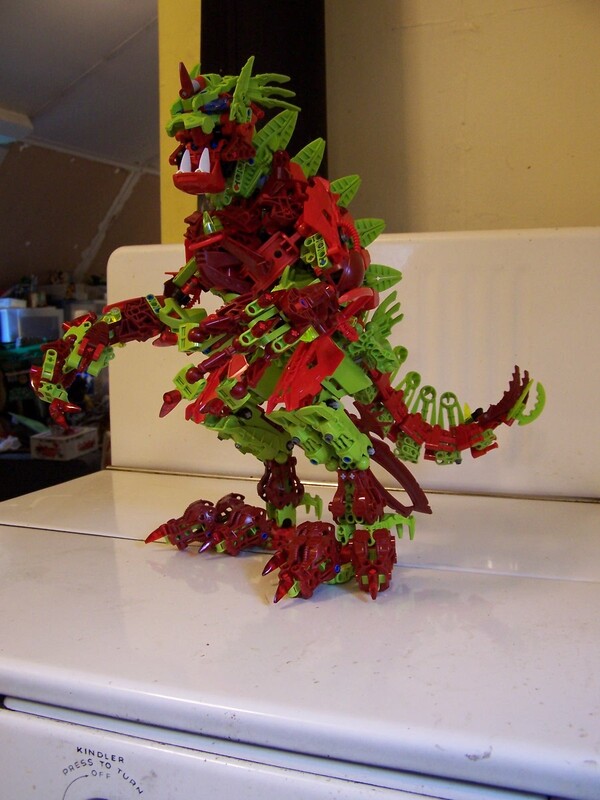 You are probably among the great bionicle mocist. 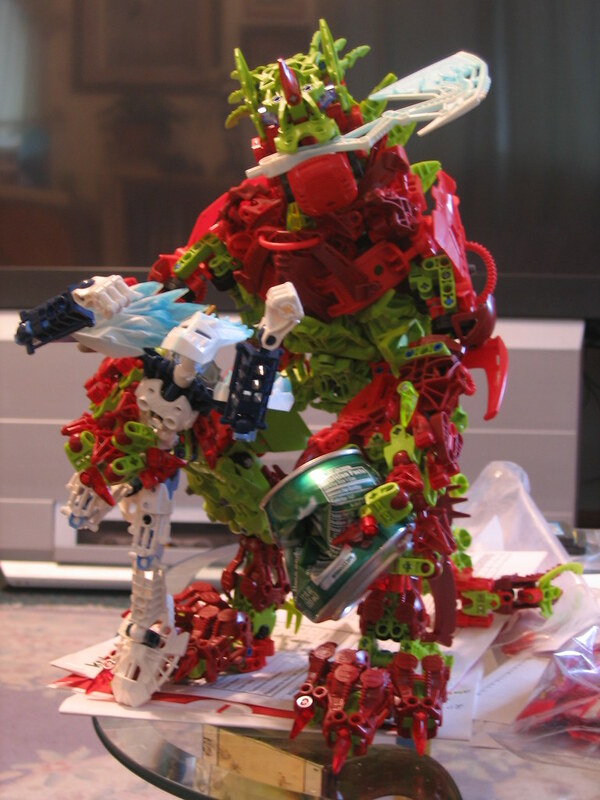 As such,me and Yuri are personally inviting you to join the Bionicle Display group(you'll get the invitation), one of the biggest bionicle group and where many great mocist are active like Yuri, Cameron, me(ahem :)look at my page and judge for yourself just please be kind. 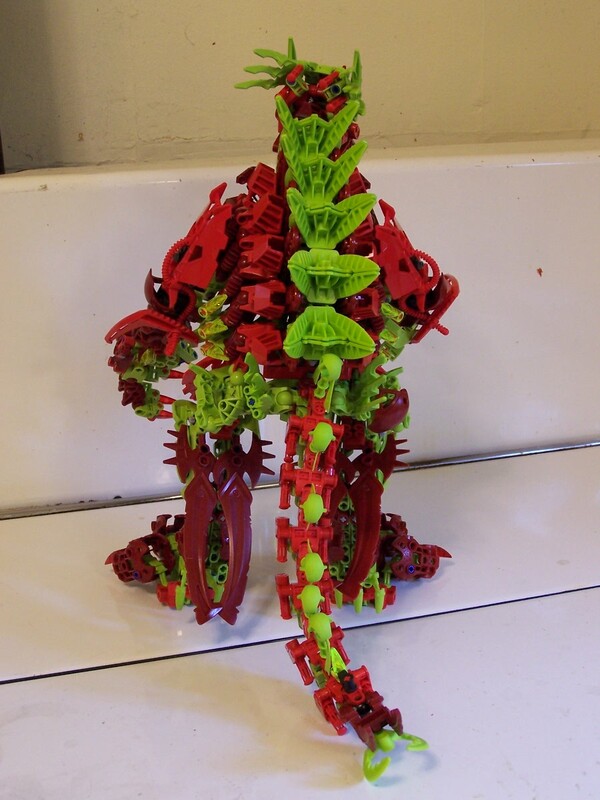 hehe) Bionicle Display is also the only bio group originally created by Sean Kenney himself(the founder of mocpages). 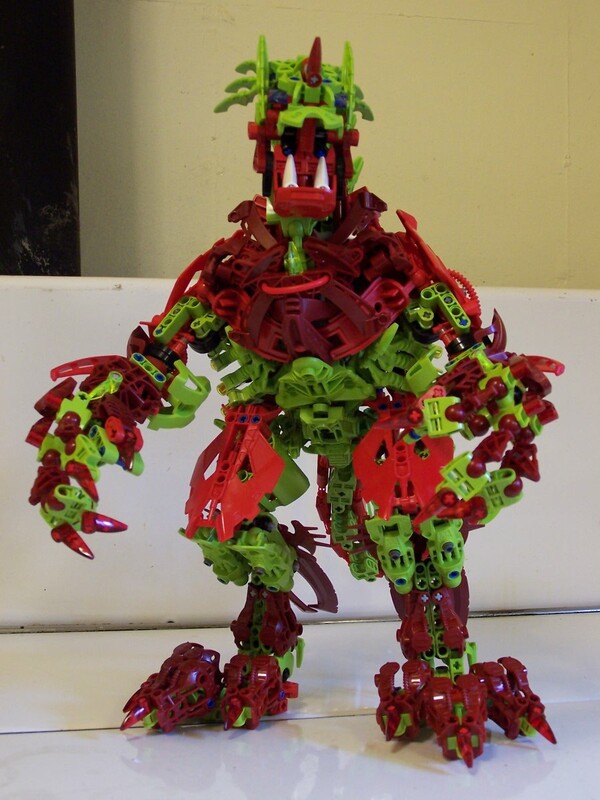 If you get to accept the invitation, I am personally inviting you to join in the Bionicle Display(formerly the Bionicle Flagship Display) 2nd Triathlon Contest. There are three interesting challenging categories for you to join. Join one or better yet join in all. The best mocers will try to give their entries. It can be a learning experience for you while having fun. For details visit: http://www.mocpages.com/group_conversation.php?id=28&topicid=32685 We will be expecting you. OMG! This is freakin awesome! Well, I can't see the problem, I took the name from the Silmarillion myself :) Did you check it out? Excellent Dragon. Although I have to say that for me, since its a moc and its original, let the Grond name be left only for Yuri since he was the first one to use it and the name Grond has been closely associate with Yuri. Epic is flowing from this creation. Great moc as always. Those spinal plates are killer. Vicious clawed hands to boot. The cabbage has turned nasty. Amazing!I love the use of the those Nyrdak ghostblaster bullets on the tail. Color scheme great, the mouth is very cool too. The picture with the tin-can, perfect, just perfect. oh my GOD! that thing is amazing! I wish I had the parts to build stuff like this. This is just flat out amazing. 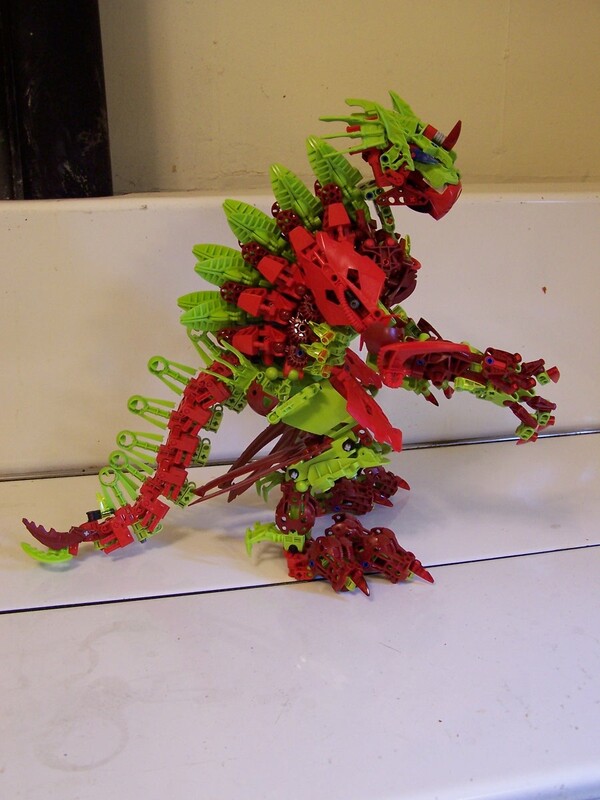 This MOC is exactly what i always expect from you:an amazing work.